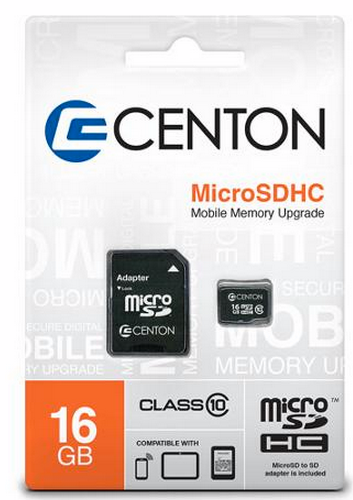 Centon 16GB microSDHC Memory Card ONLY $5.00 + FREE Pickup (was $17)! You are here: Home / Great Deals / Centon 16GB microSDHC Memory Card ONLY $5.00 + FREE Pickup (was $17)! Wow!! Hurry and snag this Centon MP Essential 16GB microSDHC Memory Card with Full SD Adapter, priced at ONLY $5 (reg. $17) + FREE in-store pickup if available in your area! Don’t miss it!